Monical’s Pizza® Certificate fundraisers are a great way to generate much needed funds for your non-profit organization. These fundraisers are great for school groups or any organization with a 501c3 classification. What is the Monical’s “Pizza with a Purpose” Program? 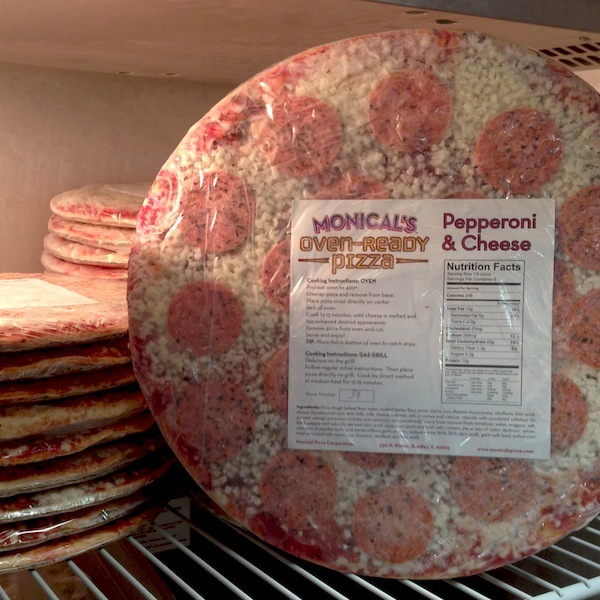 Your group will purchase Certificates for Monical’s Oven-Ready Frozen Pizzas at a discounted price of $7 each. Your group will then sell these at the amount you designate to friends, family, neighbors, co-workers or anyone who enjoys pizza! Your group/organization keeps the difference as profit. How much money your group makes all depends on how many certificates you can sell! Complete your Registration Form (Registration Form) and fax or email it per the directions on the form. A Monical’s representative will contact you to review your registration and answer any questions you may have. Monical’s will provide customized order forms for you to use. (Sample Order Form). You may purchase the certificates immediately and then order more if needed, or you may place the order after your group has pre-sold the certificates. Set Selling Dates and Price. Get started selling great pizzas! The minimum order is 50 certificates. Additional certificates may be purchased. One check for payment in full is due prior to certificates being shipped. Please allow up to 10 days for processing certificates. Cost of each Monical’s “Pizza with a Purpose” certificate is $7. The suggested selling price is $10. Monical’s “Pizza with a Purpose” certificates must be sold only for the reason stated and are not for internal use. Contact name indicated will be the only person authorized to request or receive Monical’s “Pizza with a Purpose” certificates. He/She is the only person authorized to contact Monical’s Pizza® in regard to this application and must be at least 18 years of age. Monical’s Pizza® reserves the right to sell Monical’s “Pizza with a Purpose” certificates at its own discretion. Sales Tax is included in certificate price.